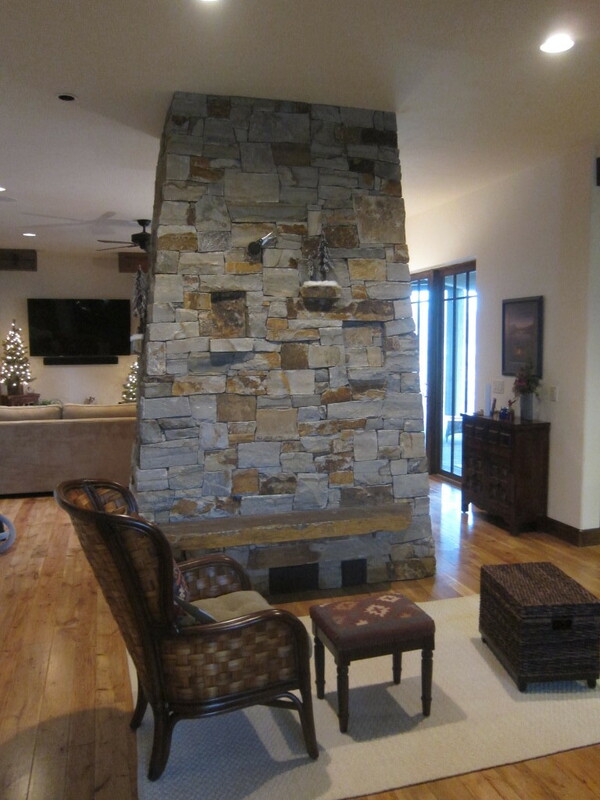 The clients really wanted the performance of a masonry heater but they also wanted their heater to be reminiscent of a lodge style open fireplace. It would have been easy to build the core vertically and then just made the masonry thicker at the bottom but this would have made the heater less responsive and less even in its heating. 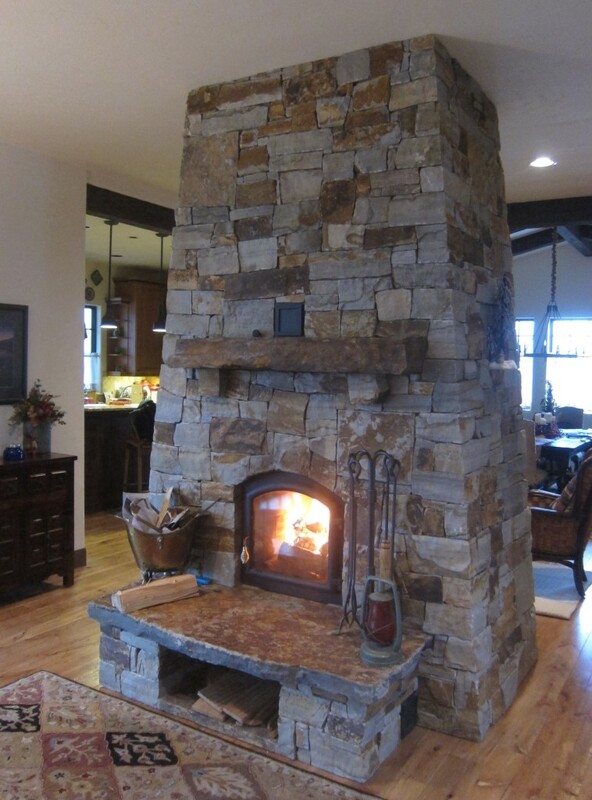 We designed and built the core with a taper so that the facing could be a consistent thickness and then a local mason named Evan Grainger did the fabulous stone work you see on the outside of this heater. 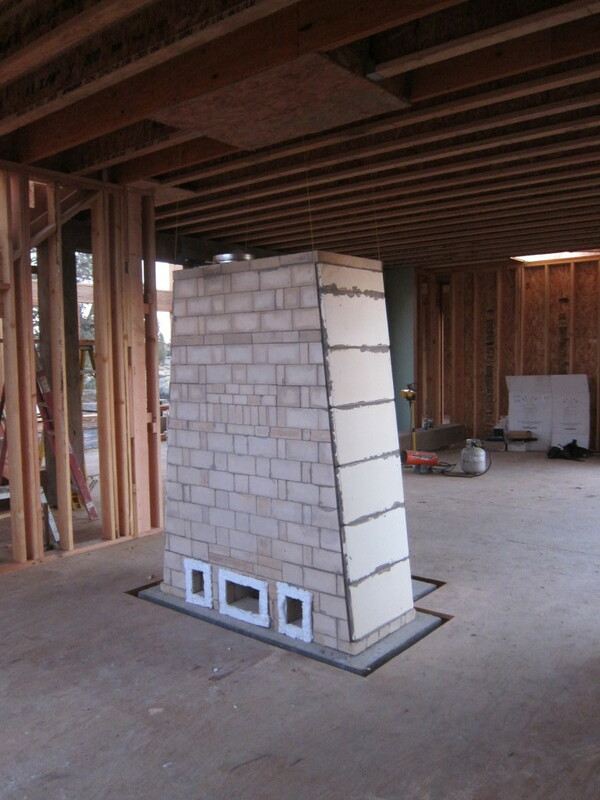 Like in many masonry heaters…. when the bipass damper is open, the smoke goes pretty much straight up. 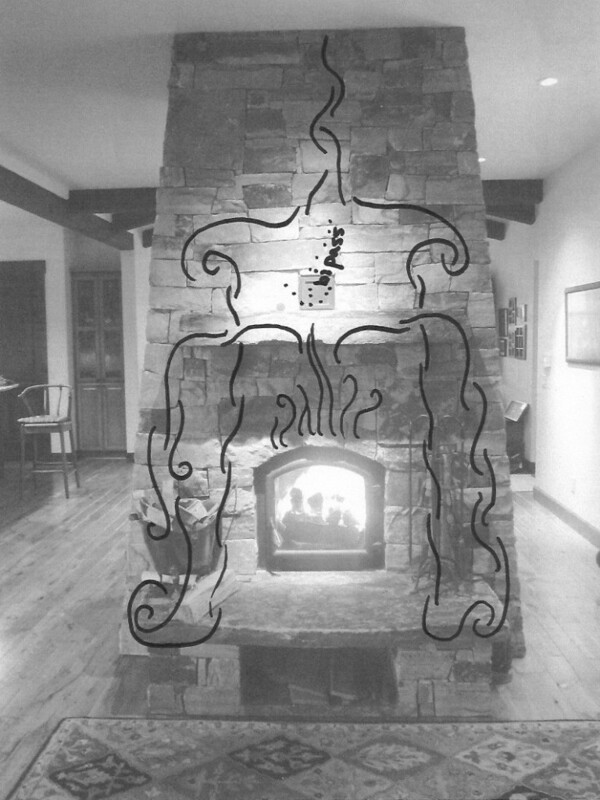 When it is closed, however, the heated gases fill the cavities and then find their way up internal chimneys into another bell above the bipass damper and then find their way into the chimney. Here are some photos of the firebrick core. The design is a modification of the 5-run system so that the sides are actually tapered bells. 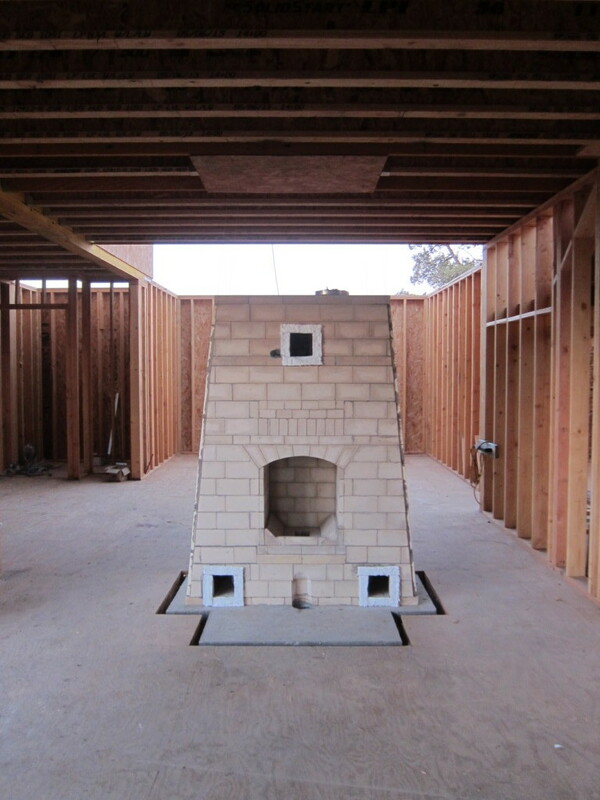 Firebrick and ceramic kiln shelf construction.